This Blues Brother Shed Pounds And Shreds On Guitar! Michael Thompson knew he was out of shape and needed to tone up if he wanted to accomplish his goals. 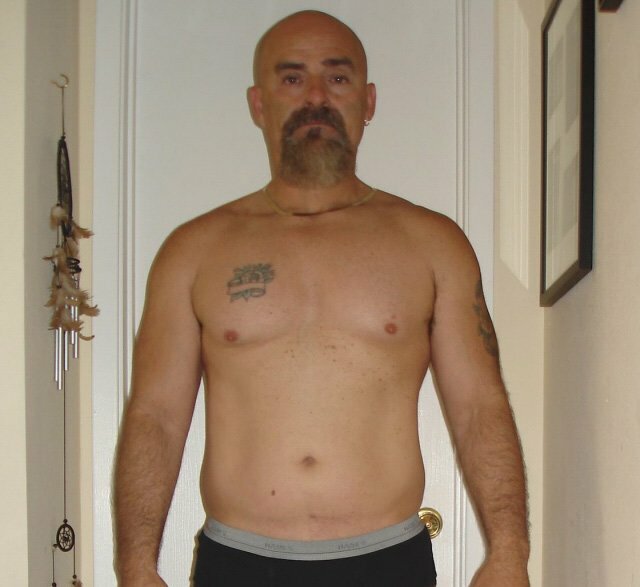 Read on to see how he shed 33 pounds and got into the best shape of his life. Rock on! I have been in to sports all my life. I played competitive basketball up until I was in my mid-40s. 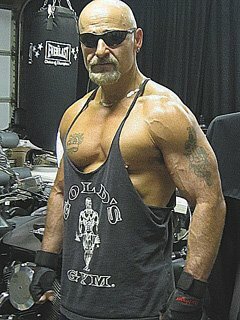 I have lifted weights on and off since I was a teenager. I was always thick and large with good strength, but never defined or cut and always carried too much body fat. My weight has fluctuated between 175-217 pounds since I was 21-years old. My highest weight was 217 in 2001 and I was miserable. In 2004 I hooked up with a good friend and personal trainer Ty Garrison. 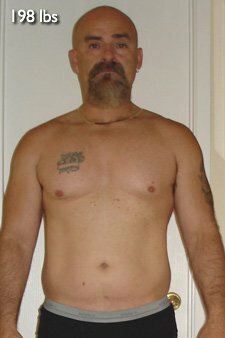 We did a 12-week program of proper diet and exercise in which I lost body fat and gained muscle. I managed to stay fit for about 1 year then after that the weight started creeping up again. has earned the right to wear his shades indoors. In April of 2010 I went to the doctor for a physical and weighed in at a hefty 198 pounds. I was feeling bloated, miserable and out of shape, at that moment I decided I was going to change my life. The next day I started eating more salads, fruits and vegetables. I started taking vitamins, getting more exercise (weight training and jogging) drinking lots of water and not eating past 8 p.m. and the body fat began melting off. I started a daily abdominal program of 3 sets of 30 leg lifts and lots of lying bicycles. I bought a hand held body fat analyzer and tracked my weekly progress. I charted what I ate and when I ate it. I felt my tight 36-inch pants losing their grip on my bloated waistline. By August of 2010 I had to buy a new wardrobe. I was in a pair of 32-inch Levi's and wearing a medium shirt comfortably. My body fat was below 15% and my weight was about 168 pounds. In September I ran my first organized 5k run and came in a respectable 13th in my age group at around 40 minutes. By October my weight was down to 163.5 pounds (my lowest since high school) and at 12.5% body fat. Who WOULDN'T want Michael to be their buff and badass uncle? I started to see a six pack forming around my mid-section and my arms started looking huge and full of veins. I was in the best shape of my life. 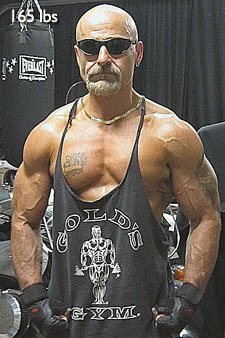 I slowed down my training through the end of 2010 but have managed to keep the weight off. The winters in this part of the country can be very cold and it is hard to stay motivated. At my last Dr. Appointment on March, 3, 2011, I weighed in at 165 and that was 5 pounds lighter than my last visit in August of 2010. For the last three weeks I have been training at a higher level of intensity and getting stronger. I am starting to get the lean cuts back to my muscles. Setting goals for me is a key factor in my training and in life in general. My goals for 2011 are to get below 10% body fat, run a sub 38-minute 5K, do 100 consecutive push up's, do 20 consecutive pull-up's, bench 135 pounds 50 times consecutively, eat healthy, play music, spend more time with family and friends and help others realize their potential and get in better shape. I would have never thought it would take me a half a century to get in to the best shape of my life but here I am now at 52-years old and living proof that if you focus your mind and have dedication, determination, desire and work hard, anything is possible. 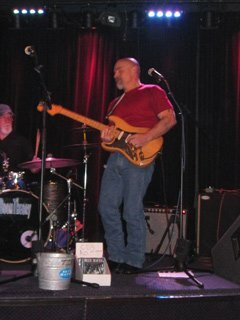 Which is more shredded—Michael Thompson or his guitar? Note: Alternate Barbell Curls weekly with 21's (3 sets of 7 reps). Take pictures of yourself before and after. Set attainable goals, write them down and stick to them. Network with others who have similar goals. Weigh yourself no more than once a week. Buy a body fat analyzer/ Use no more than once a week. Eat lots of green vegetables, fruits, fish and chicken. Drink 8 glasses of water daily. Do cardio 3 to 5 times a week. When you reach your goals, set new ones. Be kind, it will come back to you 10 fold. Be happy and smile often.